This weekend, music lovers have the opportunity to find vinyl and memorabilia in the International Record Fair of Barcelona, which celebrates its 20th edition in Estació del nord. In this edition you can visit an exhibition to mark the 55th anniversary of American band The Beach Boys. One can see, for example, acommemorative records and a signed programme from the band’s 2012 tour. Also following on from the last editions celebration of the beatles journalist Josep Maria Francino will be presenting his book ‘Beatlemania, una crònica personal’ on the Saturday, and on the Sunday professor Magí Crusells presents ‘Que vienen los Beatles!’. As soon as you as the fair opens expect queues as keen enthusiasts rush to find that hidden gem amongst the huge amounts of vinyl and memorabilia. This weekend, music lovers have the opportunity to find vinyl and memorabilia offered by representatives from all over Europe. “We have exhibitors who have spent months preparing the material for the Record Fair,” says Carles Vilella, proud director of the International Record Fair of Barcelona. “Barcelona is a very important city for sales because there is here a rather high musical culture,” he adds. 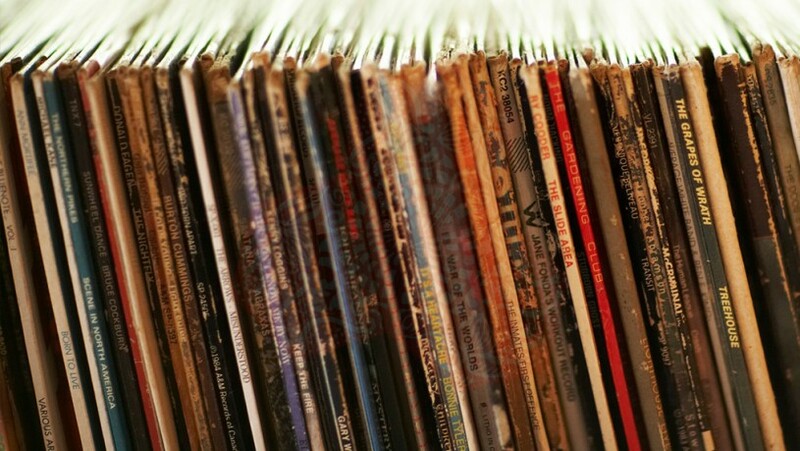 In the digital age, vinyl sales continue to increase dramatically, and increasingly new editions are published in vinyl, of course you will also find all the classics. Josep Sarda, for example, comes exclusively to buy vinyl: “CDs and digital formats do not have any attraction for me. You hear better with vinyl, “he explains.